The X-2 was designed in an effort to address the performance deficiencies of the X-1, namely thrust-to-weight ratio and acceleration. 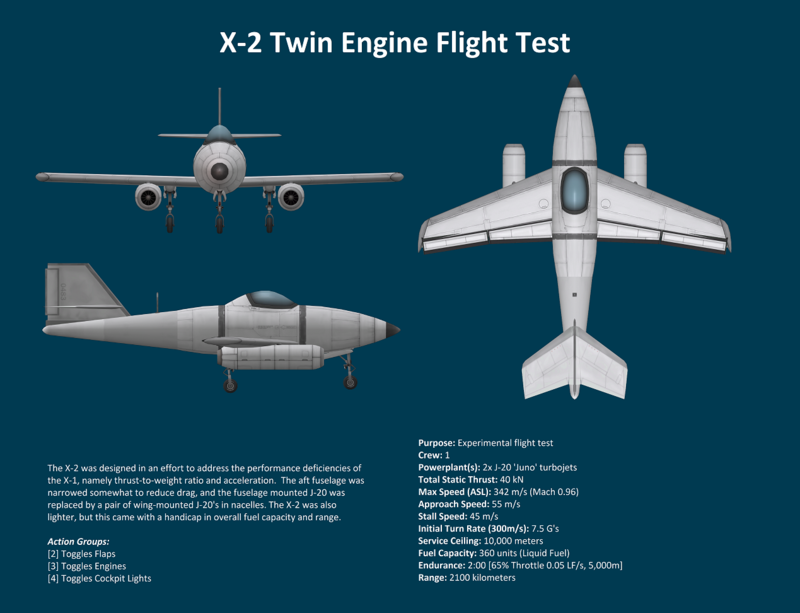 The aft fuselage was narrowed somewhat to reduce drag, and the fuselage mounted J-20 was replaced by a pair of wing-mounted J-20’s in nacelles. The X-2 was also lighter, but this came with a handicap in overall fuel capacity and range.